Everyone loves a party. 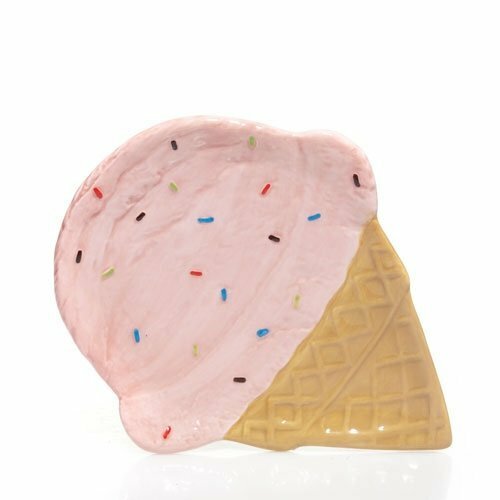 Make it an ice cream party with these cheerful ceramic pieces served up in delicious colors. Hand painted and created exclusively by Yankee Candle®. Decorative and practical, candle trays are designed for use with jar, tumbler and pillar candles to help protect counters and furniture surfaces. They also add a fresh sense of style to any space. Hand Painted & features textured colorful sprinkles & cone designs in the ceramic plate. Designed for use with jar, tumbler and pillar candles to help protect counters and furniture surfaces. Add a fresh sense of style to any space! Coordinates with other Yankee Candle Summer Scoop Collection products (sold separately).